Pachliopta kotzebuea hind wing (single) . 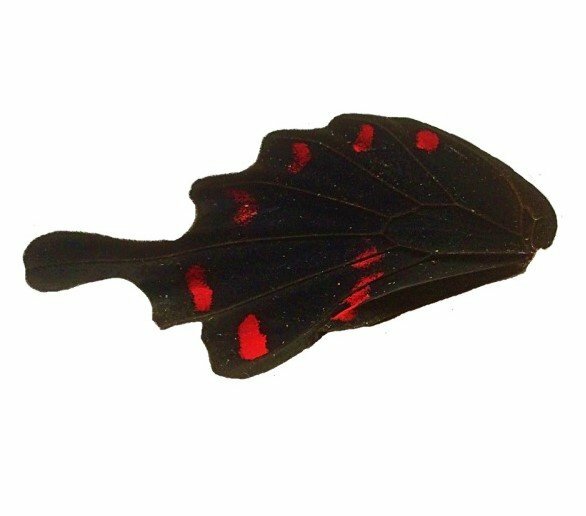 This velvet black and scarlet red tailed wing is approximately 4.5cm x 2cm and make great earrings or laminated pendants. it comes in a little acid free envelope to keep it safe until you are ready to use it.